Danner® Acadia Waterproof Duty Boots are a step towards stability and durability, complemented by Danner's legendary stitchdown construction. 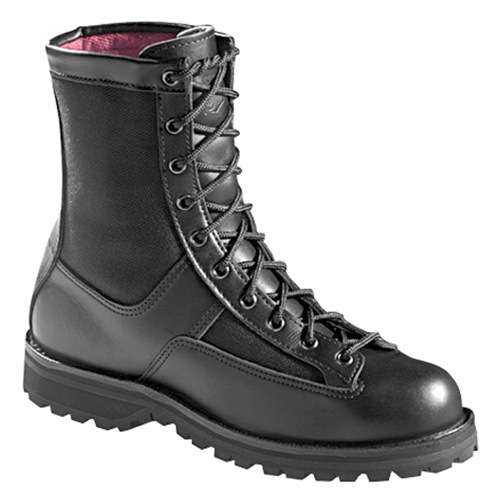 With a waterproof and breathable GORE-TEX® lining, these boots will keep your feet dry and comfortable for the journey. The Vibram® Kletterlift outsole offers outstanding shock absorption and gripping action — even on wet surfaces. Not only that, you will enjoy insulated warmth with an impressive 200 grams of Thinsulate®. The Danner Factory can recraft these boots to extend the usable life.